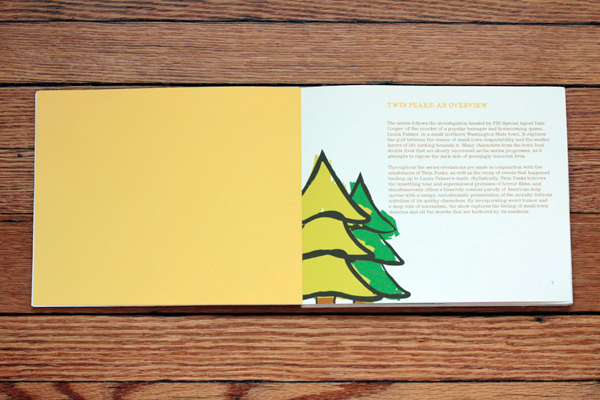 Tongue in cheek book about the popular 90's television show "Twin Peaks." It focuses on different aspects of the show such as character descriptions and plot lines, as well as a town map and relationship web. I created the illustrations by hand and translated them into illustrator. Each serves the purpose of representing reoccurring symbols in the show.